Choosing the best paint colors for dark bedrooms is a daunting task for any interior designer, much less you, dear readers, as there are thousands available! However, in today’s post, we are going to share with you a few of the best paint colors for dark bedrooms and a great resource, to help you make the selection process easier. To begin with, one of our favorite paint colors for any dark bedroom is cobalt blue – the color of the deepest lakes. 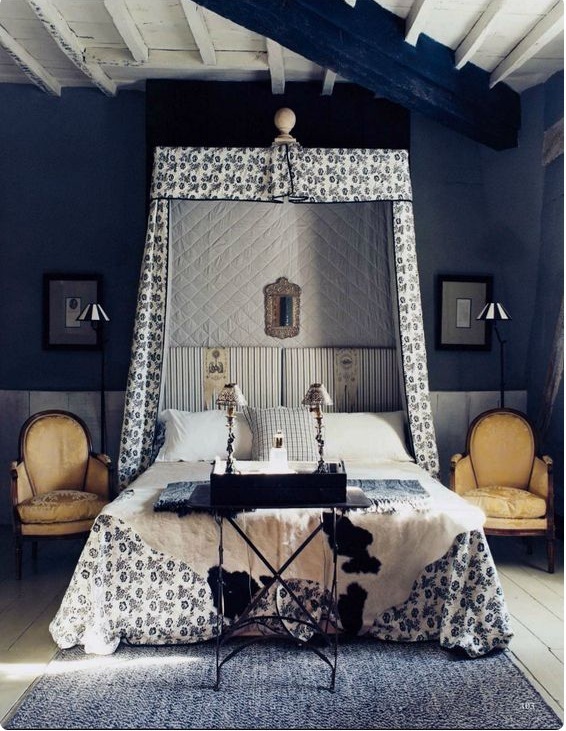 As you can see in the opening image, the cobalt blue paint color chosen by Catherine-Hélène Frei von Auffenberg for her darker bedroom ( shown in the Nov. issue of World of Interiors magazine ) allowed her to incorporate a crisp contrasting white on the ceilings and floors and in her choice of textiles, to brilliant and dramatic effect. 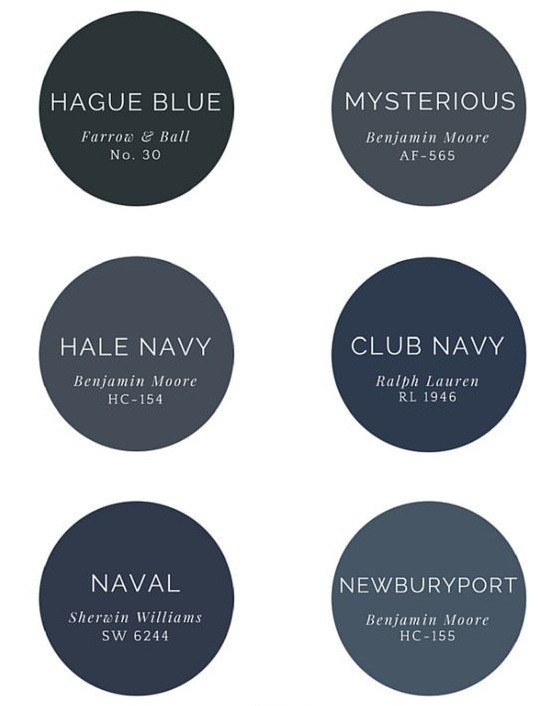 Some of our favorite navy blue paint colors for dark bedrooms are these – and especially Farrow & Ball’s Hague Blue. There are also many, many navy blue paint options for you to look at on Pinterest. Although it might seem counterintuitive, painting an already dark bedroom a dark paint color will expand the room and make it look larger, versus smaller. In addition, a dark bedroom, painted a dark color, feels more enveloping and glamorous. 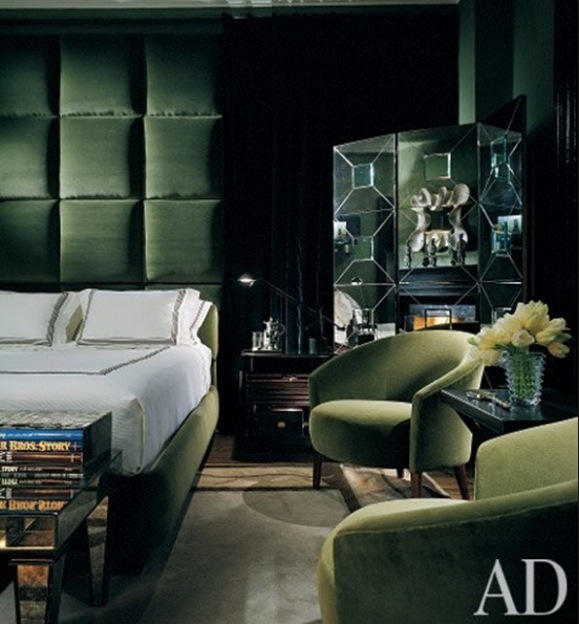 This bedroom below, painted a deep forest green-black, and designed by Charles Allem, shows how beautifully various textures and sparkly surfaces, like silk, mohair, velvet, tufting and antiqued mirror can be mixed to create an atmospheric masterpiece. 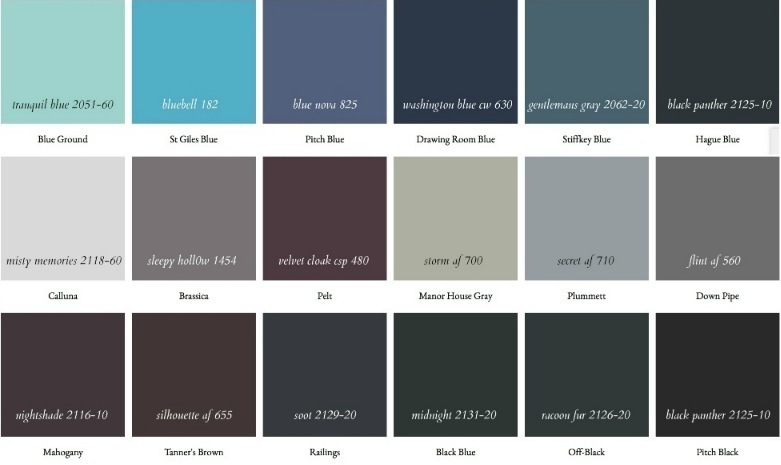 Because there are so many options for dark paint colors from all the various manufacturers, we were fortunate to find this fabulous chart, ( a small, partial screenshot of which is shown below) created by our friend, interior designer Laurel Bern. This chart shares the closest Benjamin Moore match to many of Farrow and Ball’s dark paint colors. 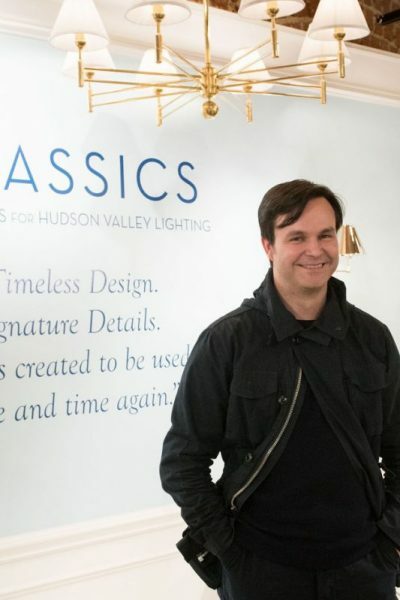 Farrow and Ball is widely considered the best luxury paint brand in the world due to the depth and intensity of their paint, but some people prefer to use Benjamin Moore as it is less expensive. 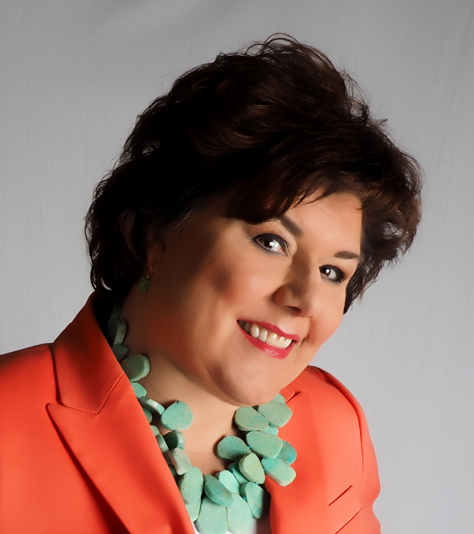 Laurel’s chart is a wonderful resource and is taken from this 2015 post of hers. 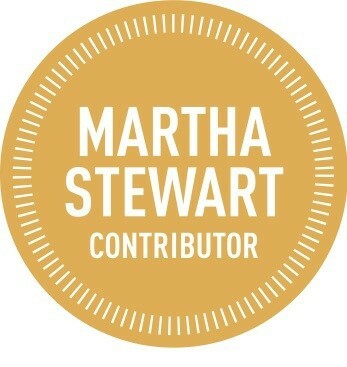 You can also click the image below to be taken to her excellent post, which shows many more colors – all matched to Benjamin Moore’s colors. Why are Farrow and Ball’s paints considered the standard of luxury the world over? Their willingness to use the highest concentration and best quality of the ingredient, titanium dioxide – an ingredient used in many paints. Just as with a sofa – some of which contain more solid wood for lifetime longevity, some less or none(read more here) – it is the same with paints, and the difference on your walls when a paint contains the highest quality and concentration of this ingredient is obvious. A beautiful dark grey favorite paint of ours from Farrow and Ball, which has blue undertones to keep it from going too dark, is their Mole Grey, shown below. 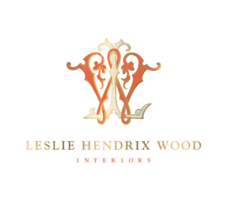 Designers the world over use this color as it plays nicely with most other colors and is always in style. 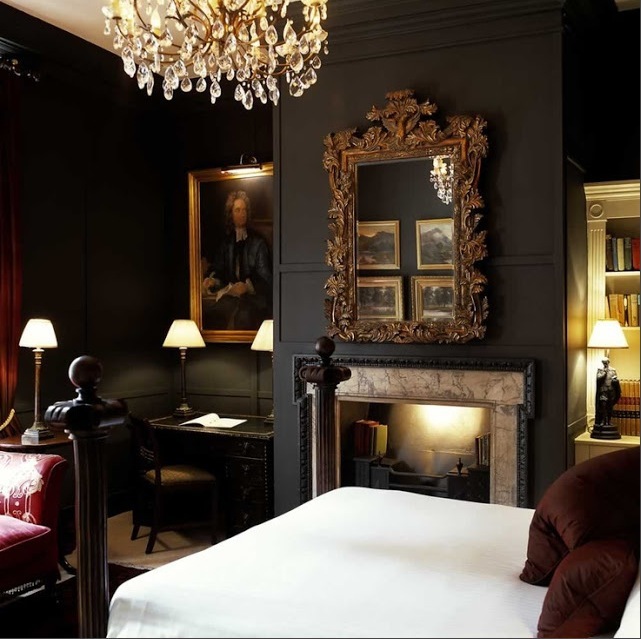 And lastly today, the designers and owners of London’s Hazlitt Hotel, Douglas Blaine and Peter McKay, used a deep, charcoal grey – almost black – paint to stunning effect in this already dark bedroom in their glamorous, chic hotel. This hotel is a favorite with luxury travelers who know of it ( there is no sign outside indicating it’s a hotel and it’s locked, unless you’re a guest and have a key! ) and once again, you can see how texture, mirror and accents of white have been used to add contrast, elegance, illumination and drama to this dark bedroom. We want to stay here and can imagine many men would also feel very comfortable in this room. These are just a few of our favorite paint colors for dark bedrooms. What do you think? Readers, would you consider painting an already dark bedroom a dark color after reading today’s post? Have you already done this? Are you happy with how it turned out? As always, thank you for reading Hadley Court. We appreciate YOU! Thanks so much for stopping in and sharing that with us. We agree with your comment: having decor and furniture that brightens the room definitely helps! 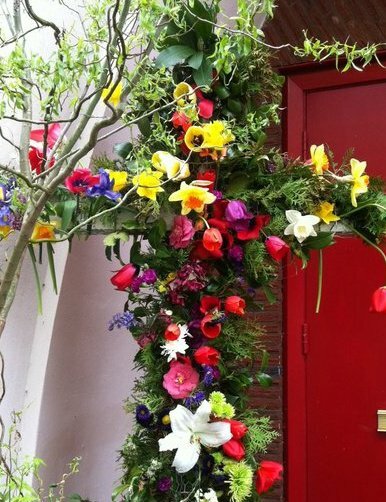 And thank you for sharing with us that you used that service to help you decorate your own home. 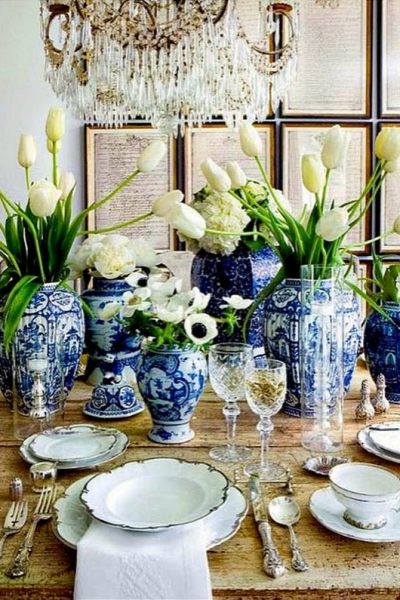 It’s always good for our readers to be able to get new ideas for their spaces! Please stop in again anytime! The staff at VintageStyleLiving.com ran across these interior ideas for dark bedrooms and just love them. This chart shows some great choices and thank you for sharing these wonderful ideas! Sorry for the late response, but thank you so much for taking a minute to leave a comment and we are so happy to read that your team there found this post helpful! 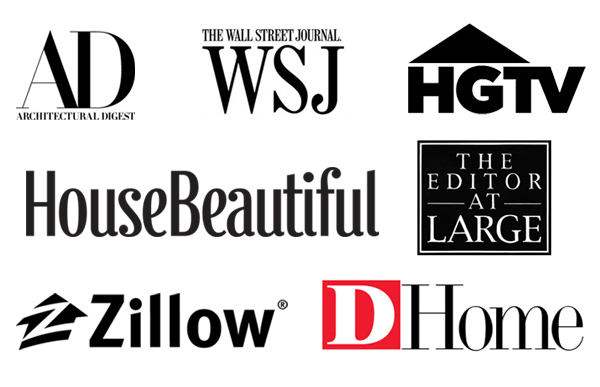 Please stop by again and thank you for reading Hadley Court!